JACKSONVILLE, Fla. - A 33-year-old Florida woman facing a retrial for firing a gun in the direction of her estranged husband and two of his children during a domestic dispute could get up to 60 years in prison - which is three times the sentence that was thrown out by an appeals court. 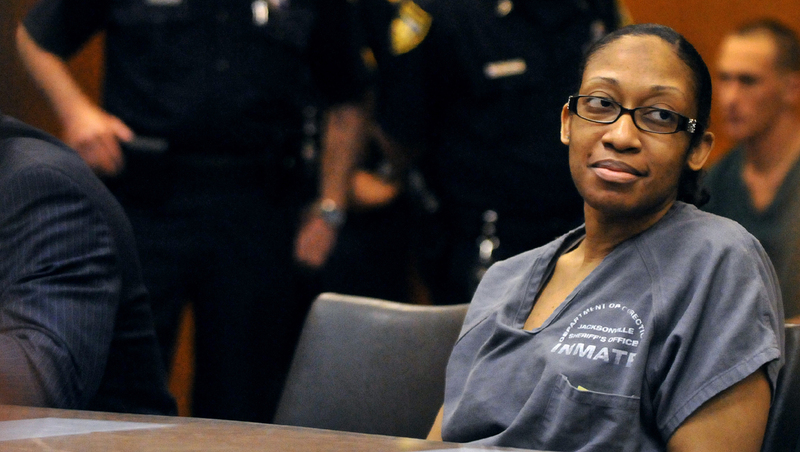 Marissa Alexander, 33, was convicted in 2012 on three counts of aggravated assault with a deadly weapon and sentenced to 20 years -- the three counts served concurrently. An appeals court tossed out the conviction, saying Circuit Judge James Daniel made a mistake in shifting the burden to Alexander to prove she acted in self-defense. During jury instructions, the judge said Alexander must prove beyond a reasonable doubt that her husband was abusive toward her. The case drew national attention after Alexander was denied immunity under Florida's "stand your ground" law. Alexander's supporters are angry that the state is seeking triple the original sentence. "It's unimaginable that a woman acting in self-defense, who injured no one, can be given what amounts to a life sentence," Free Marissa Now spokeswoman Helen Gilbert said. "This must send chills down the spine of every woman and everyone who cares about women and every woman in an abusive relationship." Assistant State Attorney Richard Mantei told the Florida Times-Union the state is simply following sentencing laws in seeking 60 years. The same court that ordered Alexander's retrial ruled that when a defendant is convicted of multiple counts stemming from the same crime, judges must make the sentences consecutive, not concurrent. "Absent a plea agreement, if convicted as charged, the law of the State of Florida fixes the sentence," Mantei said. "At this time, Ms. Alexander has rejected all efforts by the State to resolve the case short of trial." Attorney Bruce Zimet said it would be a miscarriage of justice to put his client in prison for what likely amounts to a life sentence. Alexander's case has inspired the so-called "warning shot" bill that will be considered once the state Legislature convenes in Tallahassee on Tuesday. Alexander said she fired the warning shot a few days after giving birth. Her estranged husband, Rico Gray, accused her of having an affair and questioned whether the baby was his. She says she locked herself in the bathroom until he broke through the door and shoved her to the floor. She ran into the garage, found a gun in a car and fired a "warning shot" after he said he would kill her. Prosecutors say the shot hit the wall, not the ceiling, and could have hit Gray or his children. At one point they offered Alexander a plea deal of three years in prison. She turned that down and chose to go to trial. Alexander's retrial is scheduled for July.